Website: Friends of Brabyns Facebook page. Brabyns Park lies between the Peak Forest Canal and the River Goyt. The park is used by many different members of the community. It contains open meadows, beautiful riverside walks, woodland, playing fields, a children's play area and a BMX track. It's a favourite place for dog walkers and runners. It has ample car parking and is only a short walk from Marple railway station. Buses 363, 375, 383, 384 & 394 all run near to the park. 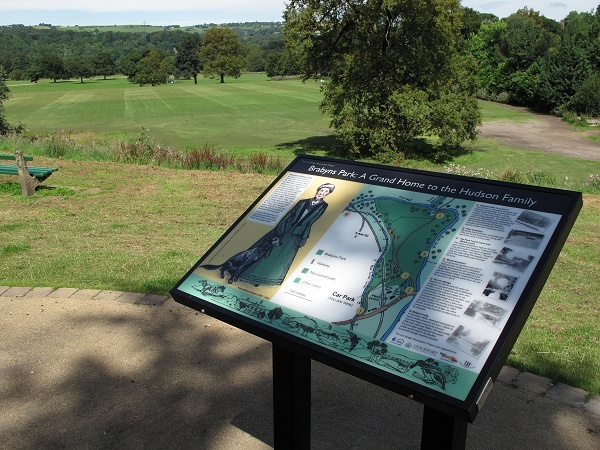 The Friends of Brabyns Park is a group dedicated to preserving and enhancing Marple's largest park. We have Task Days every third Saturday in the month, April through to October. Meet in the car park, any time you can spare between 10 am and 12. Stout boots and tough gloves advisable, plus basic tools if you have them. Find out about our activities on our Facebook page. If you have any queries or comments for the Friends, please email us.